What!? Halo-halo you can actually drink? Yes, it’s true. 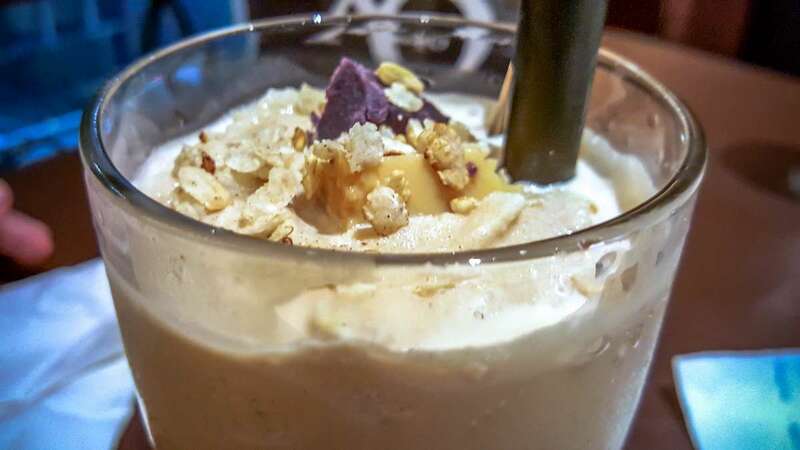 XO46 Heritage Bistro serves Halo Halo Slush where the slush replaces the traditional crushed ice used for halo-halo. The dictionary defines slush as partially melted snow, and the slush here somehow tastes like caramel. You can enjoy this using the straw, the only halo-halo I’ve seen served with straw. And aside from the straw, you still have the spoon because the sweets found in the usual halo-halo are still here. Ready for scooping. 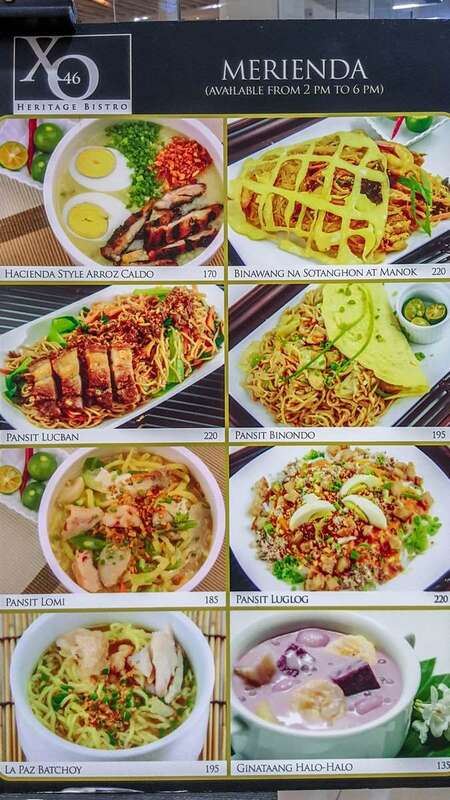 Now that you have an idea of what you should order here for dessert, here’s the rest of my suggestions for you to enjoy a hearty Pinoy meal. Chupitos is a must. 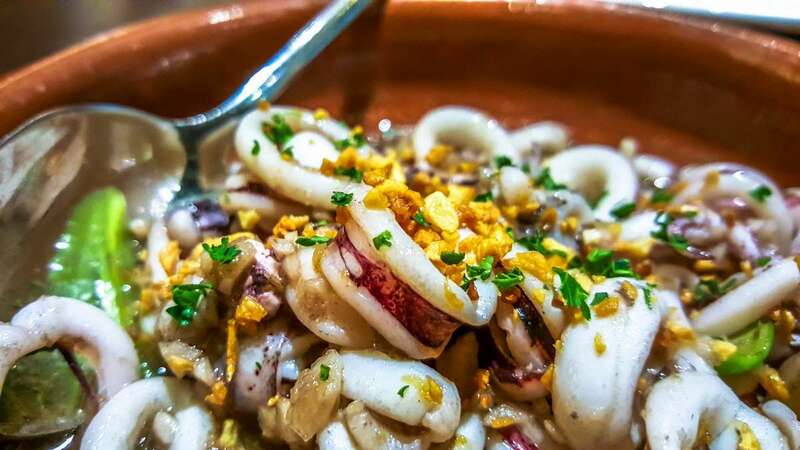 That’s baby squid cooked in garlic and olive oil that has a very satisfying smoky flavor. 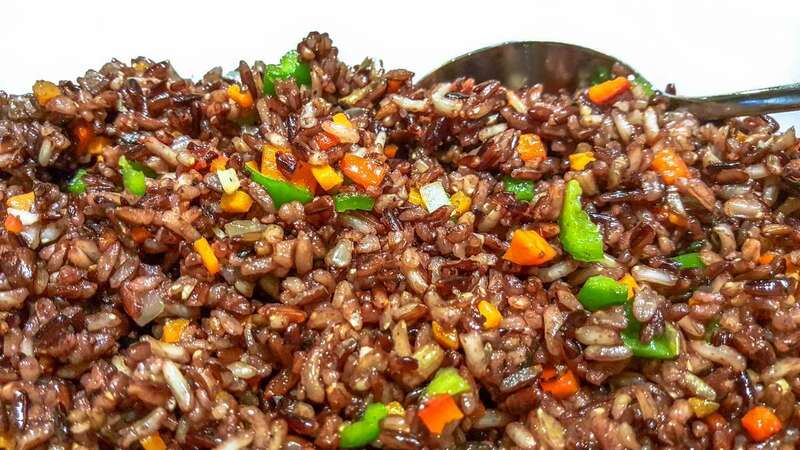 For veggies, try their Ginataang Sigarilyas. 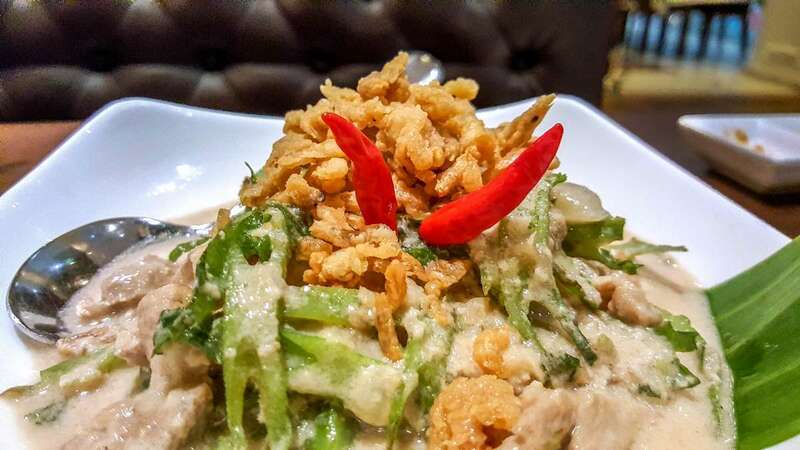 That’s winged beans cooked in coconut milk with crunchy small shrimps on top. And you can never go wrong with crispy pata. 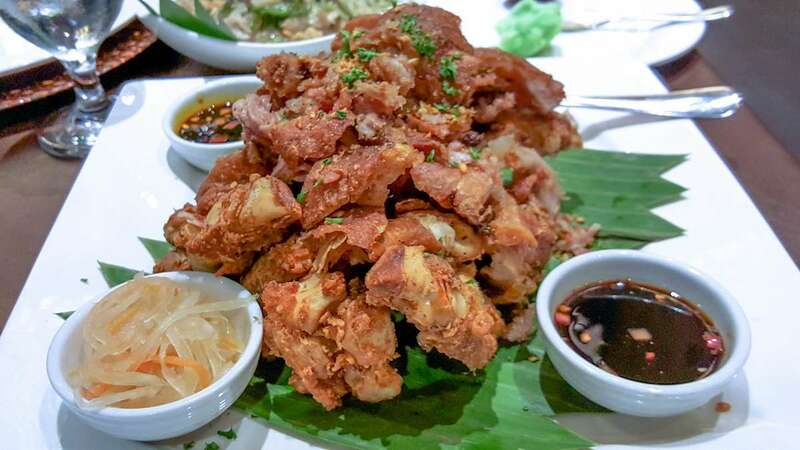 Their Crispy Pata XO Style is garlicky, has crunchy pork skin, and tenderrific meat. 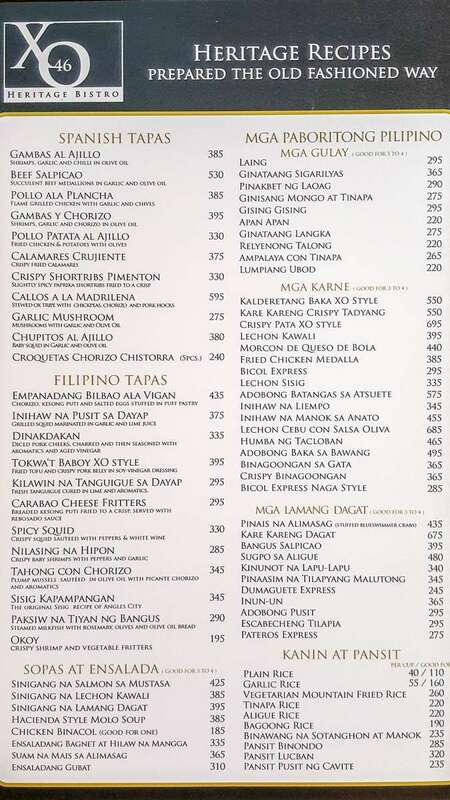 For seafood, you may order Pateros Express. 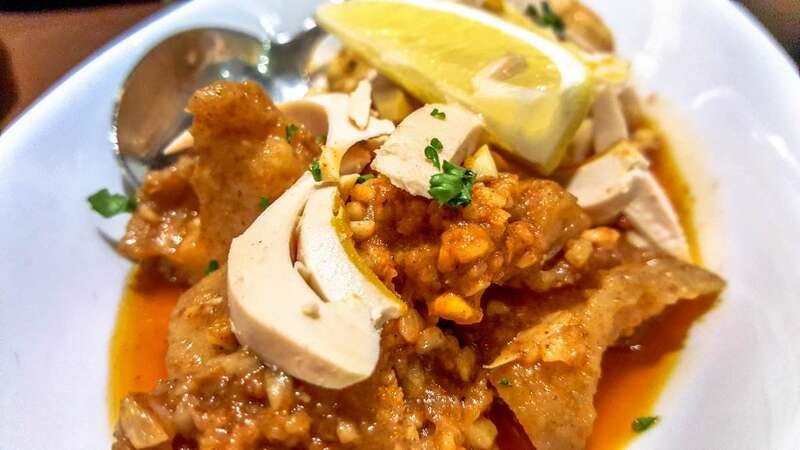 That’s sautéed seafood in salted duck egg sauce. Their Vegetarian Mountain Fried Rice is delicious. That’s black rice with garlic, carrots, bell pepper, and onions. 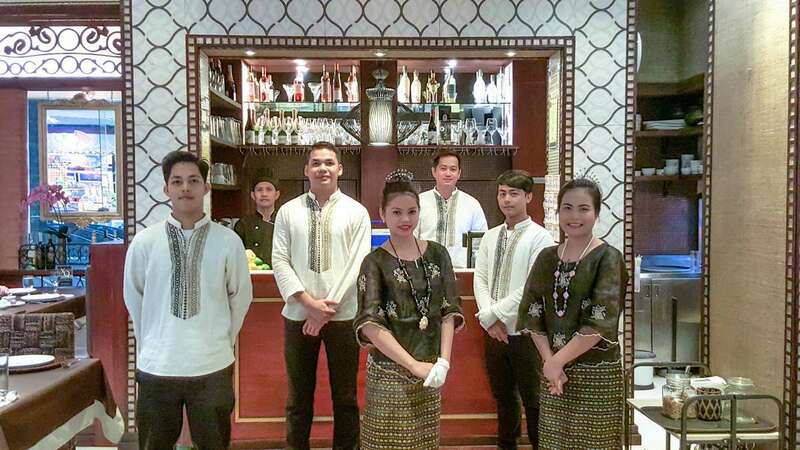 The overall experience won’t be complete without their servers wearing traditional Filipino costumes and speaking in straight Filipino. They are trained very well!!! They’re both amusing and courteous. Read my previous article about XO46 Century Mall Branch, click here.